CHICAGO -- Two men have been arrested and charged after police say they fired a handgun at an off-duty police officer on the city's Northwest Side Thursday night. 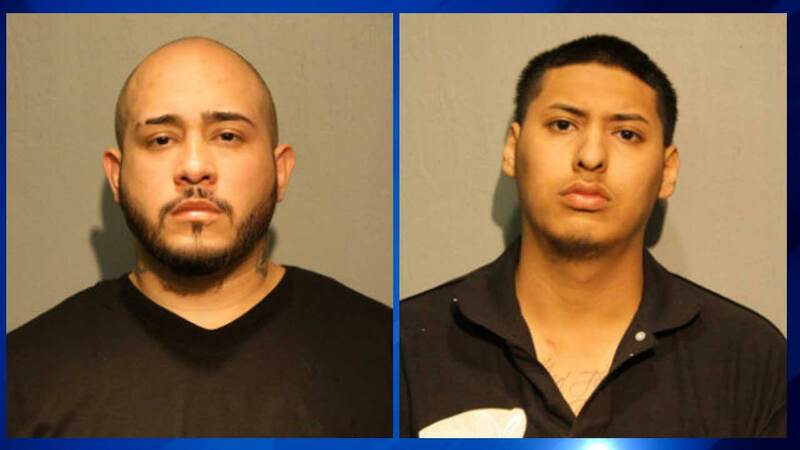 Gustavo VillaGomez, 27, of Chicago, and Kevin Martinez, 20, of Cicero, allegedly fired shots after the officer approached the pair while sitting in an SUV at a red light in the 2600-block of West Division Street in the city's Humboldt Park neighborhood. The offenders began yelling gang slogans to the officer, who then identified himself as a Chicago police officer. When the officer began to drive away, the offenders allegedly fired a shot as they chased him down the street, and then fired a second time. The offenders were later positively identified by the officer and charged accordingly. Martinez was out on bond for a prior firearm's related charge.